A one-session class covering the primary computational methods of Code Societies Classes: Winter 2019. Together we will defamiliarize and refamiliarize ourselves with the Command Line Interface, Git/Github, running Python 3 in the terminal, & running Python 3 with Anaconda Jupyter Notebook. We will navigate folder structure narratives with the command line, time travel with Git, code socially with Github, and process language with Python. Unzip the folder and move it into to your “home” or “root” folder (the one with the little house icon on a Mac). Coding isn’t something that just happens in your text editor or terminal. Coding can be a wholistic computer practice, a new relationship you have with your computer & your computer habits. from the way you name your files or organize your folders, to completely changing how you perform routine tasks on your computer such as moving a file. Click the Atom menu in the top left corner and choose “install shell commands”. This will ensure that you can access Atom from the Terminal also known as the command line. 🌿What is the command line? Think about all of the applications you open on a day to day basis on your computer. One of the many mechanisms we use to do these things is dragging and clicking different icons and folders using a mouse or trackpad. Open up a new Finder window. Navigate to your home folder. It is helpful to use the “folder view”, you can do this by clicking the little icon with the three rectangles at the top of the Finder window. This folder structure follows the structure of a house which is a spatial metaphor for how we navigate folders on our computer. For example, when you’re in a house and standing in the kitchen and you wanted to go to bed you would need to navigate from the kitchen into your bedroom before you actually tried to lay down. Another way to do this kind of navigation is by using the command line, a text-based mechanism for doing the same kind of navigation between folders and files. The command line can be seen a more intimate way to interact with your computer, it’s kind of like having a conversation, you can ask your computer to do something and it might respond to you with a confirmation of what you typed or some kind of prompt or a scrolling list of crazy words letting you know that it is in the process of installing some stuff or nothing at all! sometimes you will ask your computer to install something and it will not give you any kind of response but the thing you wanted to install was actually successful. 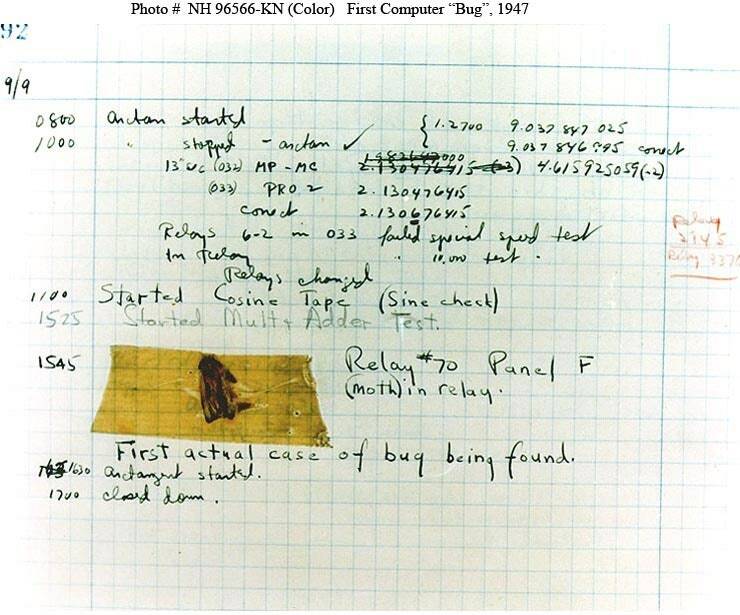 the reason the computer will not return any kind of response takes us way back into the history of computing when the computer would respond to a programmer by printing out its response on a piece of paper. In order to save paper computers were programmed to just do nothing if the command was successful. 🌿Lets embark on a Folder Structure Narrative ! Moving forward you can think of the Terminal (command line) as the “secret trap door/master key/teleportation portal” to your computer. When you open the Terminal you’ll see something called a bash prompt: You’ll see your user name and a ~ The ~ represents your home directory. You can verify that you’re in the home directory by typing ls and pressing enter. You should see a list of all of the folders and files directly inside of your home directory. You change directories from your home directory by typing cd and pressing enter. Remember you can verify that you’re in the a particular directory by looking at your bash prompt as well as by running the ls command. With the ls command you should see all of the folders and files inside the directory you are currently in. Finally you can cd in the house folder. Welcome to the house tour! Lets cd into the kitchen! Run ls. Do you see the file pots-and-pans.txt ? This cat command will display all of contents of that file right inside your terminal ! How beautiful ! Run ls again and notice a file called grow.sh. We know this is a bash script because of the .sh. This means that we can execute this script (or program) inside of terminal. To see the bash script in action type bash grow.sh and press enter. A bunch of beautiful flowers should appear! Notice if you run cat grow.sh you will see the contents of the script that produced the bunch of beautiful flowers! If you try to run cat on a jpg file the terminal will print out all of the “text” for the file. We will use the mkdir command to create some new folders. mkdir stands for make directory. For example, you can run mkdir my-new-folder and that folder will be created inside of your computational-methods-code-societies directory. Use rm -rf name-of-folder-or-file (remove recursive force) to delete items but be careful you can’t undo this! If you see a bash command and you want to know exactly what it does you can use the man command, for example man ls will show you what ls stands for. You can press q to exit the explanation. You can run the clear command to refresh your terminal window. A version control and time travel software! Suspend your belief for just a moment! Save the file and go back to terminal. Now we’re going to time travel!! Make sure to run git checkout master to go back to your latest code (all three sensations). Login to GitHub or create account. Before running the following command you should ensure that all of your files and folders are ready to be added to your repository. You can do this by running git add . Keep in mind that git only cares about files, so it will not upload folders if they don’t have files inside of them. Now you have a copy of your partner’s repo on your computer. Take a look at your partner’s invented Folder Structure Narrative from earlier in class. Using terminal, build on top of what your partner was going for with their narrative. There are a lot of different ways to interact with Python. One way is using the interactive interpreter. Another way is using Jupyter Notebooks. In this guide we will mostly be working within a Jupyter Notebook. Creating a variable that is going to store the information inside sensations.txt. Open is telling my computer to looks for a file called sensations.txt within the directory that you are currently in. Don’t forget to use quotations for your file name! Now you can save the file and go back to the Terminal. In the terminal you can write jupyter notebook and press enter. This will automatically open up a new browser window. Click on Introduction to Python file. How can we work with these python notebooks? shift + enter run cell, select below. ctrl + enter run cell. option + enter run cell, insert below. D , D delete selected cell. Once we have gotten to the end of the file remember that we need to open the file again before we can successfully run it! Make sure to read the error messages. Try your best to understand what the computer is saying.